Brick Town Talk: First Picture - LEGO Town, Architecture, Building Tips, Inspiration Ideas, and more! These unfortunate picture of Cafe Corner is from Pepaquin's Gallery. 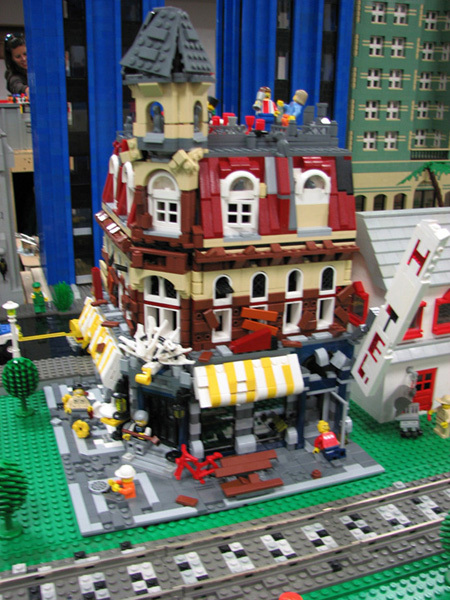 I seem to remember seeing this picture before any of the LEGO sites had pictures of Cafe Corner (i.e. I saw this before I'd even heard of Cafe Corner - and I search the sites every day). 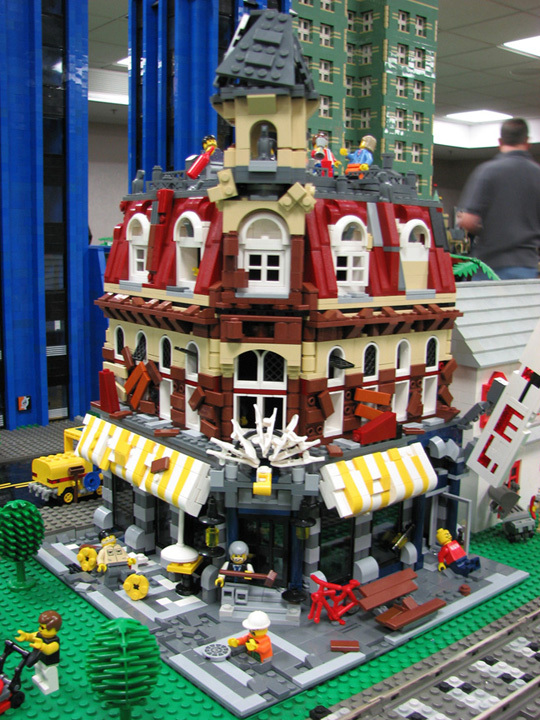 Its from the Geneva Library display with the Northern Illinois Lego Train Club.